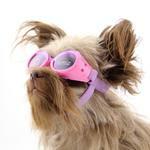 Doggles dog goggles are designed to protect dog's eyes from the sun's harmful rays, flying debris, wind, rocks, or bugs. Your dog can't tell you her eyes hurt, so be proactive and help protect her eyes. Dogs need UV protection just as humans do, and if your dog is out and about with you, your dog should be wearing Doggles eyewear to protect her eyes from harmful UV rays! Doggles are designed just for dogs with a deeper lens cup (because dogs have protruding eyes), wide nose bridge (because dogs have really big noses), foam padding around the entire frame, and soft adjustable head and chin straps. Doggles also come recommended by Vet Ophthalmologists to protect their patients in all types of situations and also after some types of eye surgery. 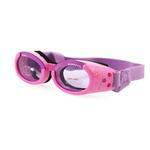 And don't forget that these Lilac Frame with Flowers and Lilac Lens Doggles are in the height of dog fashion! 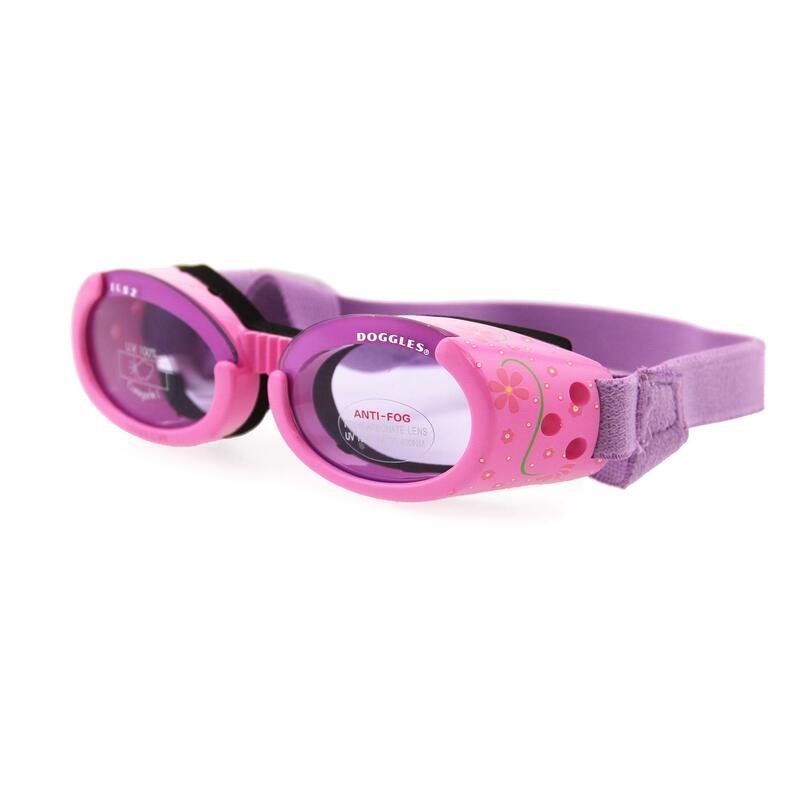 Doggles - ILS2 Pink Frame with Flowers Lilac Lens Customer Photos - Send us your photo! 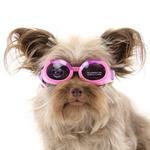 Halle my 11 pound Havanese loves her new goggles. The small size fits her good. It did not take her long to get used to them. I got them for her rides in the golf cart and beach walks to protect her eyes while we are on vacation at Jekyll Island GA. I easily found what I was looking for. Prices were better than I've seen on other websites. Purchase was quick and painless.